ARIKAN E.Channel polarization：a method for constructing capacity-achieving codes for symmetric binary-input memoryless channels[J].IEEE Transactions on Information Theory，2009，55(7)：3051-3073. SASOGLU E，TELATAR I E，ARIKAN E.Polarization for arbitrary discrete memoryless channels[C].Information Theory Workshop，2009 ITW.IEEE，2009：144-148. 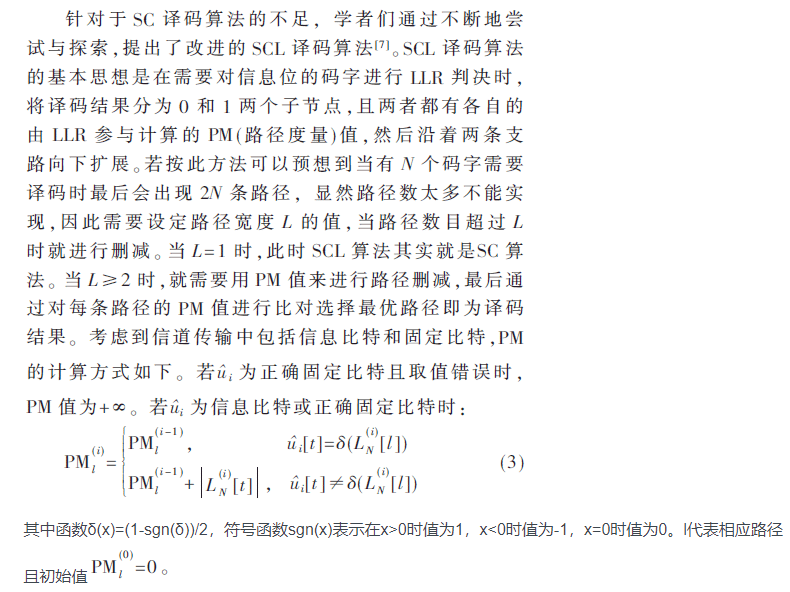 ZHANG T，PARHI K K.A 54 Mbps (3,6)-regular FPGA LDPC decoder[C].Signal Processing Systems.IEEE，2002：127-132. LI B，SHEN H，TSE D.An adaptive successive cancellation list decoder for polar codes with cyclic redundancy check[J].IEEE Communications Letters，2012，16(12)：2044-2047. BALATSOUKAS-STIMMING A，RAYMOND A J，GROSS W J，et al.Hardware architecture for list successive cancellation decoding of polar codes[J].IEEE Transactions on Circuits & Systems II Express Briefs，2014，61(8)：609-613.